and our office will contact you with the earliest available appointment. *There is a two week waiting list at present and we appreciate your patience. 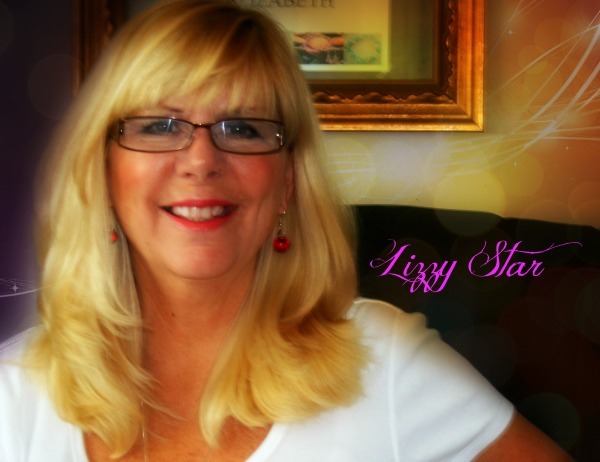 Check out the reviews below and please add your personal review if you have had a reading with Lizzy Star. my only wish is that I had contacted Elizabeth sooner. What a great reading. My Lizzy Star Shines bright! It is always awesome to just be in the same presence of energy as Lizzy! I so enjoy each and every minute of my reading with her! I love her truly!!! Lizzy's readings are truly one of a kind. She reaches to higher levels of consciousness and really talks to your soul. The deep connection I felt with her & Spirit has never been reached for me in all the yrs of having readings. Thru Lizzy I KNOW that GOD hears me. That oneness I felt is life changing. I am so humbled & blessed that Lizzy was put in my path to guide me to where God wants me to be & we are co-creating together. She is so loving in her approach that you feel God's love coming thru her & for me I NOW GET IT! I now know God only wants the best for us. I thank her for sharing her gift with the world. She is my mentor and a teacher for us all! thank you so much Lizzy..smile. I just got a reading from Lizzy. Finally I feel that someone sees me and knows me more than just my person. The reading made me soooooooooo happy.I am so gratefuly and humble to meet Lizzy and talk with her. I´m looking foreward to come to US...lol.. The love I got to divine spirit is much stronger now and I feel in oneness. Always a blessing to speak with Lizzy! Connecting with Lizzy is always simply amazing. She is always right on target with her messages because she is truly connected to spirit, so only divine comes through and only in the most loving way! I feel so very blessed to be able to speak with Lizzy! Lizzy you truly are a bright shining star!!! I love you dearly! Thank you for each and everything you teach me! This was my first reading with Lizzy! She brought up several loved ones who have crossed over with multiple validations of names and date. She brought me much comfort and peace about my areas of questions. I am thankful to her that she took so much time with me. I never felt rushed. She was very patient & kind. I certainly look forward to her predictions coming true. I can't wait to have another reading with her! She was truly delightful!! I have had 3 readings with Liz over the past 2 1/2 years and each time she has been amazingly accurate. Liz is also a very warm and inspiring person. The readings have always been fun and have made me feel so much better after my time with her. I have recommended Liz to my friends and would highly recommend her to everyone. I enjoyed talking with Lizzy again. I'm so looking forward to all the wonderful things that she saw for more. I talk with Lizzy every year for my birthday and its always the best gift to myself. Lizzy has a wonderful gift and we are all so lucky for her to share it with us. She lead me to my husband and discribed him to a T.